Envoy is an inclusive electric-car-sharing amenity that provides short-term cars where you live, work and stay. 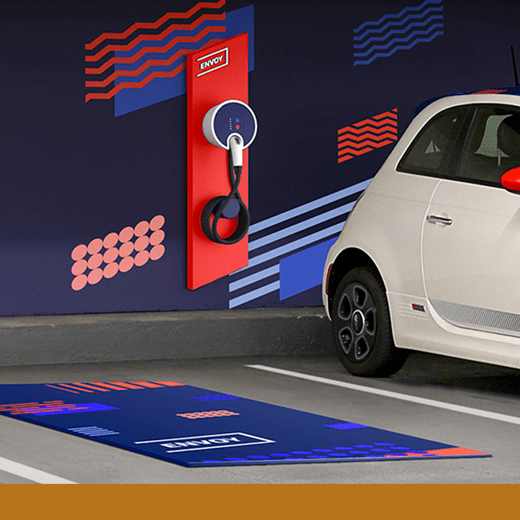 It allows any member of the community—office workers, neighbors and such—to access electric car mobility with their access cards. Partnering with local governments, the ambitious startup is a turnkey alternative to car ownership, reducing congestion in cities so they're sustainable. Envoy's brand system is as vibrant and dynamic as the company, its founders and target audience.